Kari Fell is an artist who lives and paints in beautiful Cape Breton. She grew up in the North of Canada, in the Northwest Territories and Nunavut. She was living in Alberta for the past 19 years and recently moved east to have some maritime adventures! All these places show up in her artwork. 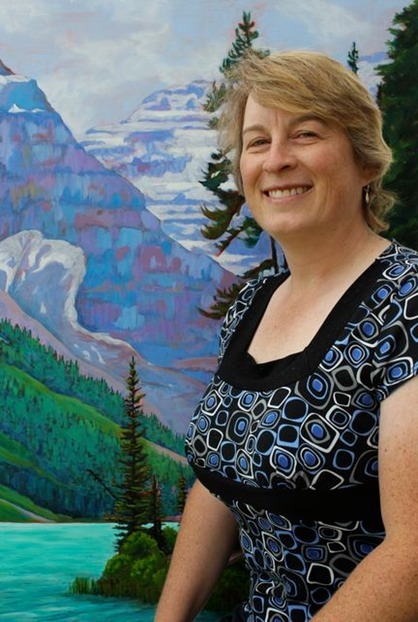 Kari attended the Alberta College of Art in Calgary (now ACAD) from 1986-1990 where she majored in drawing and textiles. She continues to create in both these media and has also added painting to her repertoire. Kari works out of her home studio in Sydney, Nova Scotia, Canada. Customers are always welcome to the studio. Works in progress can be viewed and commented on in the facebook page. Please drop by My Facebook Page for updates.